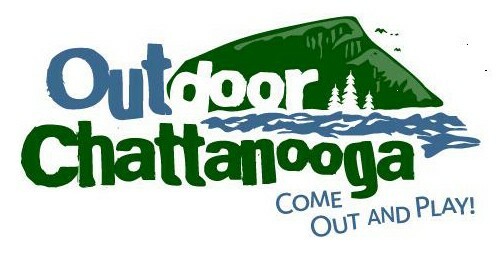 Outdoor Chattanooga's newsletter highlights the awesome outdoor activities happening in and around Chattanooga that will connect you to the outdoors and inspire you to come out and play with us! 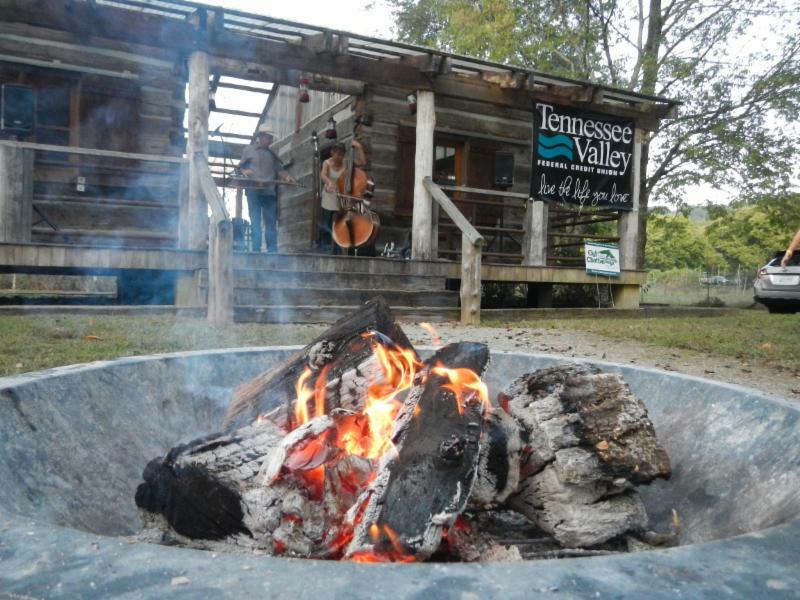 All ages and walks of life are invited to come out, unplug and enjoy a spring evening gathered around a campfire listening to live music in Tatum Park every Thursday evening in April, 7-9 p.m. Tatum Park is located at 1609 Union Ave., Chattanooga, TN 37404 in the Highland Park neighborhood. Families are encouraged to bring their own blankets, chairs, picnic suppers, and marshmallow roasting sticks to enjoy a full evening of entertainment outside in the park. In addition to the live music, food will be available for purchase from local food vendors along with family-friendly activities. beginning at 6:00 p.m. See you at the park! Thanks to Tennessee Valley Federal Credit Union for sponsoring this free, family-friendly, outdoor music series in partnership with Outdoor Chattanooga and La Paz Chattanooga . Additional support provided by The Benwood Foundation and Riverview Foundation . Saturday, April 6 | 1-3 p.m. Experience nature's boundless beauty and picturesque paint strokes on a wildflower walk in the Cherokee National Forest with Outdoor Chattanooga and Botanist/Ecologist Mark Pistrang. Enjoy a family-friendly trek on relatively flat terrain to view and learn more about the wonderful wildflowers that dot the forested landscape. Easy for beginner hikers and little legs, the leisurely paced hike will lend time for photography, note taking and a short break to enjoy your own packed lunch/snack in the forest. The hike is limited to 15 participants and online registration is required in advance. Carpooling is encouraged due to limited parking at the trailhead, which is approximately 70 minutes from Chattanooga, 30 minutes from Cleveland. Location details will be disclosed with registration. Tuesday, April 9 | 7-9 p.m. 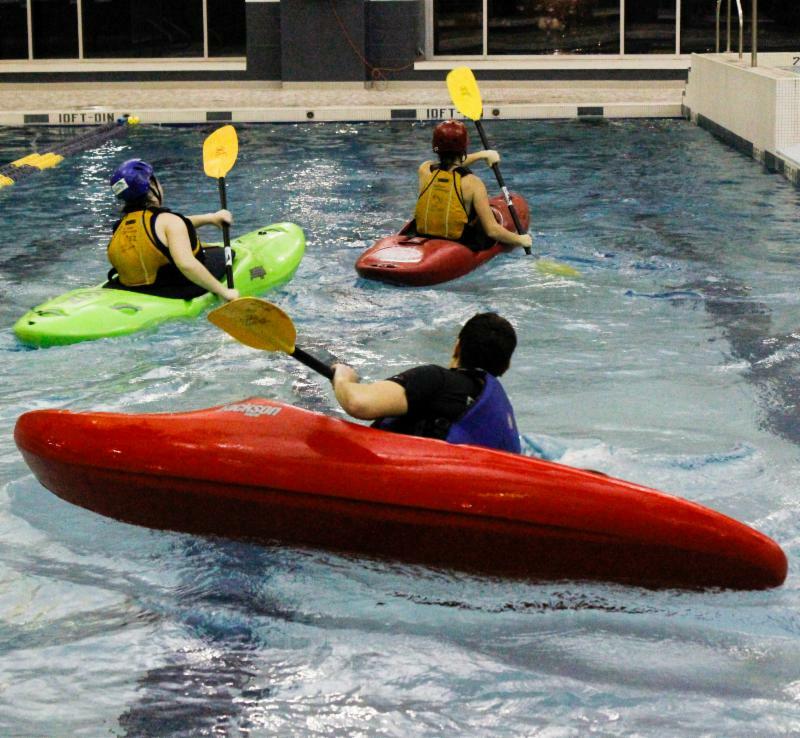 Outdoor Chattanooga's Rapid Learning Kayak Program provides formal instruction to learn and develop whitewater kayaking skills. In the winter months, we're indoors in a heated pool at the Hulsey Wellness Center in Collegedale. NO reservations, experience or equipment required to attend, and the first session is always free! There is a $2 pool use fee charged by the Wellness Center. Please bring cash. For more info email Outdoor Chattanooga . 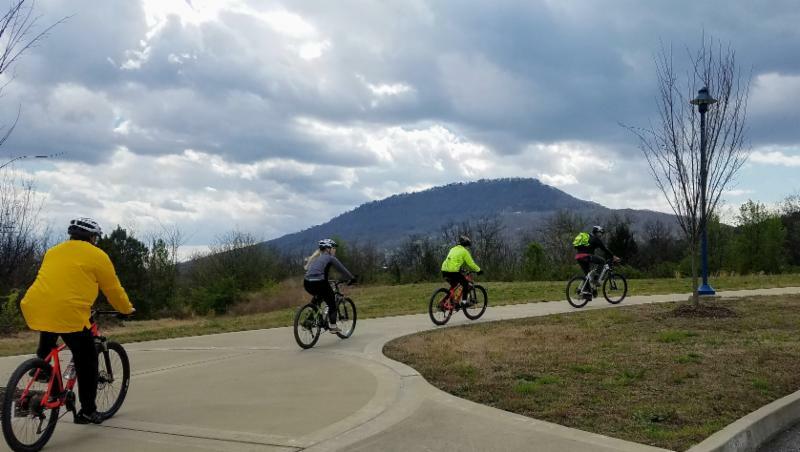 Sunday, April 14 | 9 a.m. - 12 p.m. or 1 - 4 p.m.
Join Outdoor Chattanooga for a guided downhill bike adventure that starts at the top of Lookout Mountain and ends in downtown Chattanooga. Enjoy scenic views of the city while cruising down the Guild Trail until it connects with the Tennessee Riverwalk and follows the shores of the Tennessee River into downtown. 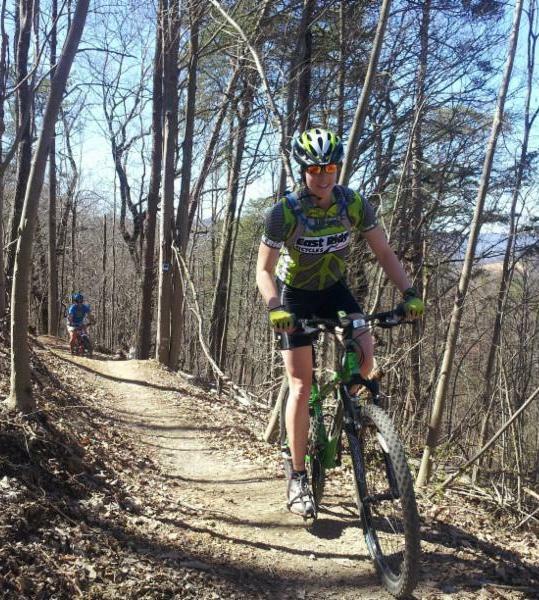 Outdoor Chattanooga's experienced guides will be with you during the ride providing support and instruction. You can use your own bike or borrow one of ours at not additional cost. Cost is $25 per person which includes guided tour with shuttle and use of bike if needed. Ages 10+ with participating adult. Must know how to confidently ride a bike. Online registration required in advance as space is limited. The Downtown Chattanooga YMCA is hosting Adult Learn to Swim classes on Tuesdays and Thursdays in April. The classes are geared toward adults who are not comfortable with their swimming ability rather than proficient swimmers looking to improve their technique. Participants must be at least 18-years old to register and registration is required in advance to ensure a low swimmer to instructor ratio. 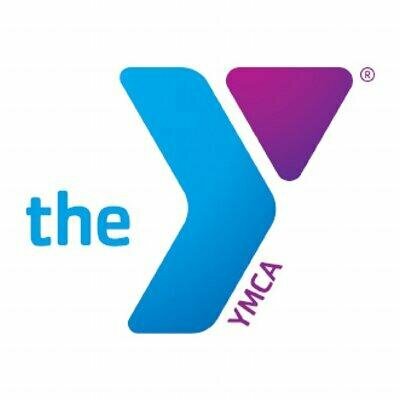 The cost is $30 for YMCA Members, $40 for non-YMCA Members. Join Lookout Mountain Conservancy for a Weed Wrangle and volunteer workday in the pollinator garden. Volunteers are needed to work side-by-side with The Howard School Leadership Interns, restoring trails and weed wrangling on the Mountain. There will be cookout afterward to celebrate the collective accomplishments and good deeds. The Chattanooga-area chapter of the Ducks Unlimited conservation organization is hosting its 3rd annual Greenwing event called the Great Outdoors Festival , sponsored by Sportsman's Warehouse. "Greenwings" (11 years of age or younger) and "Varsity" (12 - 17 years of age) are dedicated Ducks Unlimited youth programs with special benefits. The Great Outdoors Festival is FREE for all and includes a DU membership, plus an awesome goodie bag full of great stuff for the first 300 kids to arrive at the event on April 6 at the beautiful Covey Creek Farm, 2855 Cloud Springs Rd., Rossville, Ga. You can preregister with a $1.00 payment . The dollar will be refunded when you check in for the event. 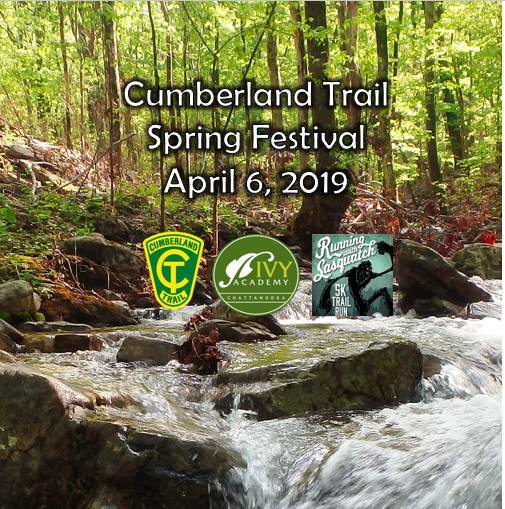 The Cumberland Trail Spring Festival is partnering with Ivy Academy and its 5K trail run Running with Sasquatch , which takes place at Ivy Academy, located at 8520 Dayton Pike, Soddy Daisy, TN. The trail run begins at 9 a.m. and follows the trail on the south side of the North Chickamauga Creek Gorge. The festival begins at 10:00 a.m. and ends at 3:00 p.m. There's a recommended donation of $5 per person/$10 per family; however, admission is included in the fee for those participating in Sasquatch Run. The festival includes; interpretive programs, basket weaving, Native American demonstrations, guided hikes, nature booths, craft and food vendors. 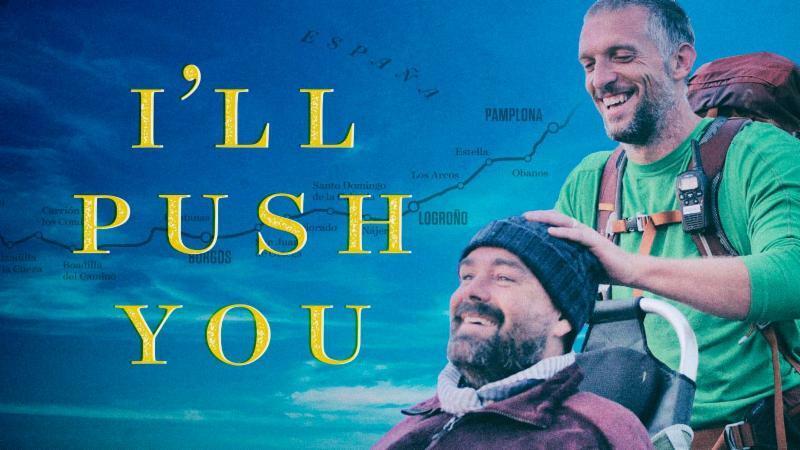 Wednesday, April 10 | 6-8 p.m.
Join Catalyst Sports - Chattanooga at Outdoor Chattanooga for a special viewing of the documentary I'll Push You to benefit three local women who were selected to join Justin and Patrick from the documentary to be part of a flagship "accessible" pilgrimage on El Camino De Santiago Trail in Spain in the fall of 2019. Out of 90+ applicants and only 13 spots available for individuals with disabilities;Sharon Stolberg, Carly Pearson, and Leslie King were selected to embark on this incredible journey! These three women have dedicated much of their lives to helping individuals with disabilities gain freedom through adaptive sports and outdoor experiences like the one's Catalyst Sports - Chattanooga offers. Being selected for this rare opportunity gives them the ability to raise awareness and inclusion while forging a new path on a trail that has been i naccessible to people with disabilities. Even though the pilgrimage is fully supported by volunteers, and logistics are provided to assist the trio, there are other expenses including travel to Spain and the cost of obtaining and transporting an off-road wheelchair for Carly. Come out and support these amazing women while enjoying an inspirational documentary about friendship, endurance, humanity and overcoming adversity. Donations will be accepted at the door or through the Eventbrite link . Any amount is appreciated. Saturday: Children’s Activities (10a-3p) are at the South Cumberland State Park Visitor Center. Saturday night: Trail Weekend Hootenanny fund-raiser is at Baggenstoss Farms. All Access Weekend Pass: $75, Day Pass: $20, Single activity pass: $10, discounts given to Friends of the Park members. Check the schedule of events and buy your passes below. Celebrating Earth Day in a Whole New Way with an Eco Field Day full of fun challenges! April 26 | 11 a.m. - 3 p.m. -- Corporate + Adult Field Day Challenge! Eco-Themed Field Day will challenge corporate and adult teams in 10 different activities. Register your team of 5 here . April 27 | 11 a.m. - 4 p.m. -- Family Festival Day! 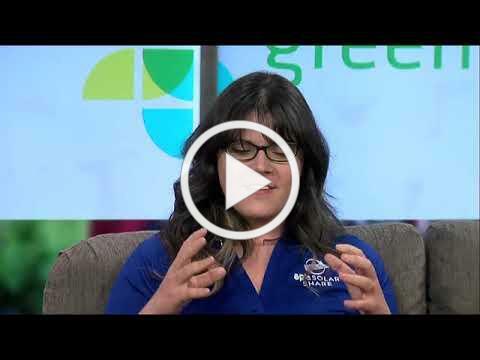 Bring out the whole family to check out Electric Race Cars built by local students, take part in the eco-challenge stations, and get connected with City and EPB resources that will help you become more environmentally friendly. 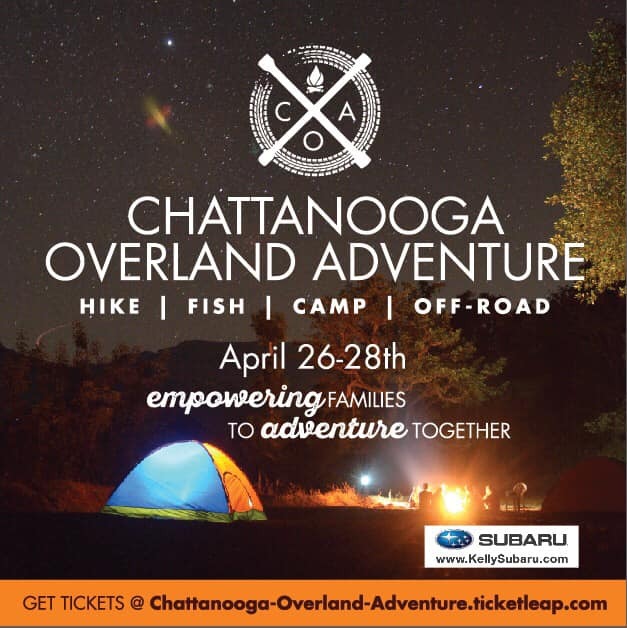 Chattanooga Overland Adventure is a 3-day, 2- night festival that aims to e mpower families to adventure together by teaching the basics of camping, fires, hiking, fishing, and off-road/Overland skills. The weekend will offer a variety of instructed courses in knife skills, navigation, basic vehicle checks/preps, driver signals and how/what to look for when getting off-road, how to prepare your car and a bag for a hiking or car adventure, local farm experience, pig roast, band, and jet boat rides on the Little Sequatchie River! Anyone is welcome to camp, but only people with AWD or 4x4 vehicles can join the off-road excursions. Kelly Subaru is the main sponsor and will have a vehicle on site for demonstration. Learn more and get your tickets. Chattanooga's Got Trails, and We Know How to Use Them! This month's local adventure sheds a little light on the local organizations and the work they do behind the scenes building and maintaining the seemingly never-ending trails we have access to here in Chattanooga! We apologize in advance for leaving important organizations off the list below, just know that a lot of planning and funds from a variety of organizations go into building and maintaining the trails we love so much! ﻿SORBA Chattanooga is an organization that advocates for new mountain bike and multi-use trails in the Chattanooga area by working with land managers and policy makers to develop fair and responsible policies governing the use of public and private lands. SORBA Chattanooga also leads the continued maintenance and improvement of existing trails, as well as promotes the sport through events designed to bring the mountain biking community together and gain exposure to potential newcomers to the sport. Join them for a trail work day and give a little love back to the trails you love to shred! The Southeastern Climbers Coalition (SCC) is a non-profit organization dedicated to preserving climbing areas in the southeast for future generations. SCC members and volunteers are climbers from Tennessee, Alabama, Georgia, North Carolina, South Carolina, Florida, and Arkansas who have joined forces to preserve access to climbing areas in the region. SCC works hand in hand with other climbing advocacy groups like the Access Fund , as well as public and private landowners such as state and national parks, other land trusts, private businesses and local families. Without SCC, many of the climbing areas you enjoy today would not be available for public use. Since 1994, The Trust for Public Land has worked to create a network of greenways and trails, connecting some of Chattanooga's most cherished natural and cultural resources. The Chattanooga Greenway Master Plan calls for creating greenway trails along tributaries of the Tennessee River and connecting them to the Riverpark, a celebrated linear park along the banks of the Tennessee River. Targeted areas include the North Chickamauga Creek, the South Chickamauga Creek, the Chattanooga Creek, Mountain Creek, and Lookout Creek. 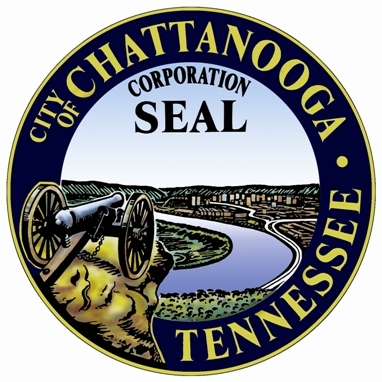 Chattanooga is a city with a thriving economy based on quality of life and easy access to open space. 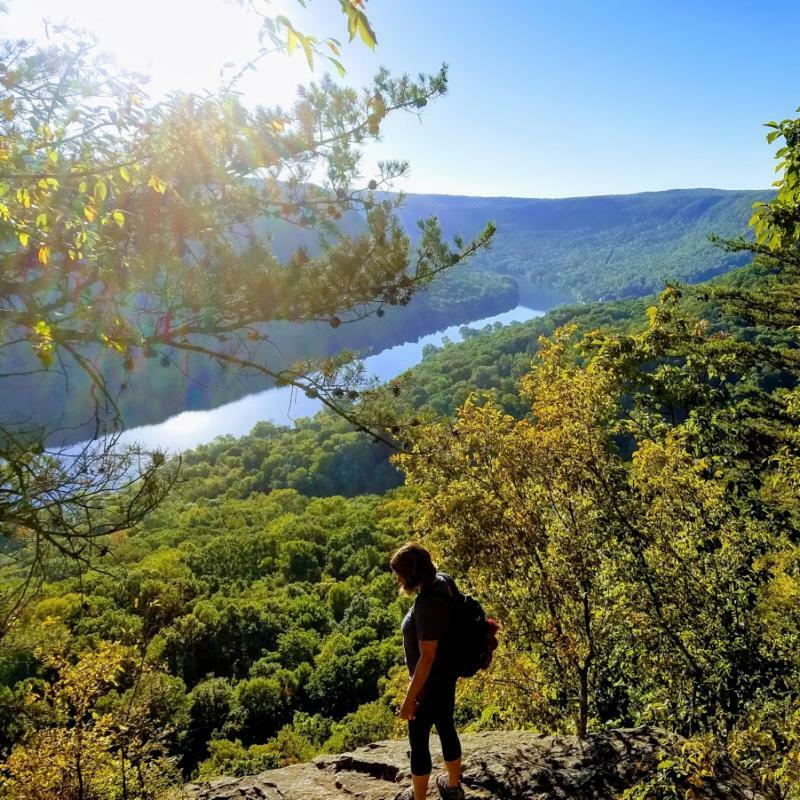 ﻿ Lookout Mountain Conservancy (LMC) is a local non-profit that works to protect Lookout Mountain’s scenic, historic and ecological resources through conservation, advocacy, recreation and education, for current and future generations. 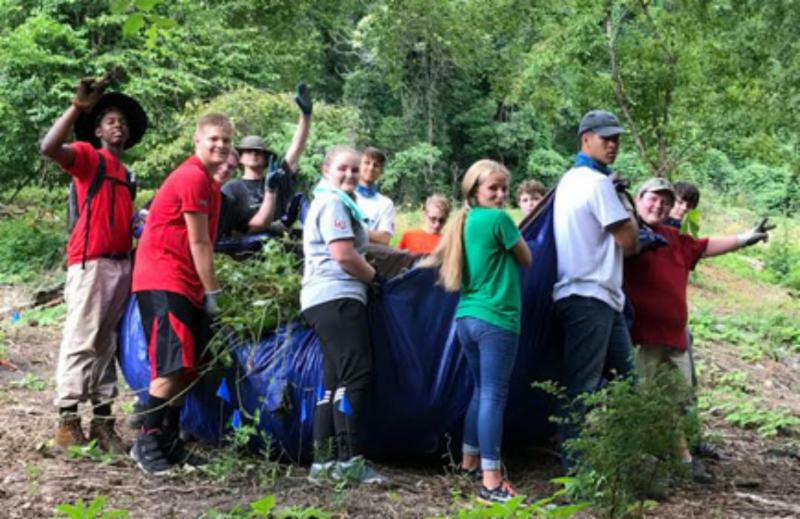 Their Intern & Leadership program with the Howard School has become a model of how conservation can be used as a tool to develop youth leadership, enhance academic and social skills, and provide job skills training with students. Through conservation activities and one-on-one team mentoring, the primary goal of the Intern and Leadership Program is to ensure that all participating students graduate from high school and attend either a university, a technical institute, or are placed in a job. LMC also works with local businesses and groups to complete service projects. They maintain sections of the Guild Trail and the trails leading to the Boulders on Old Wauhatchie Pike. Southeast Conservation Corps (SECC) , operates conservation service programs throughout the Southeast that focus on meeting the needs of the natural landscapes while empowering young people to cultivate compassion, responsibility, and grit through community service, hard work, and environmental stewardship. 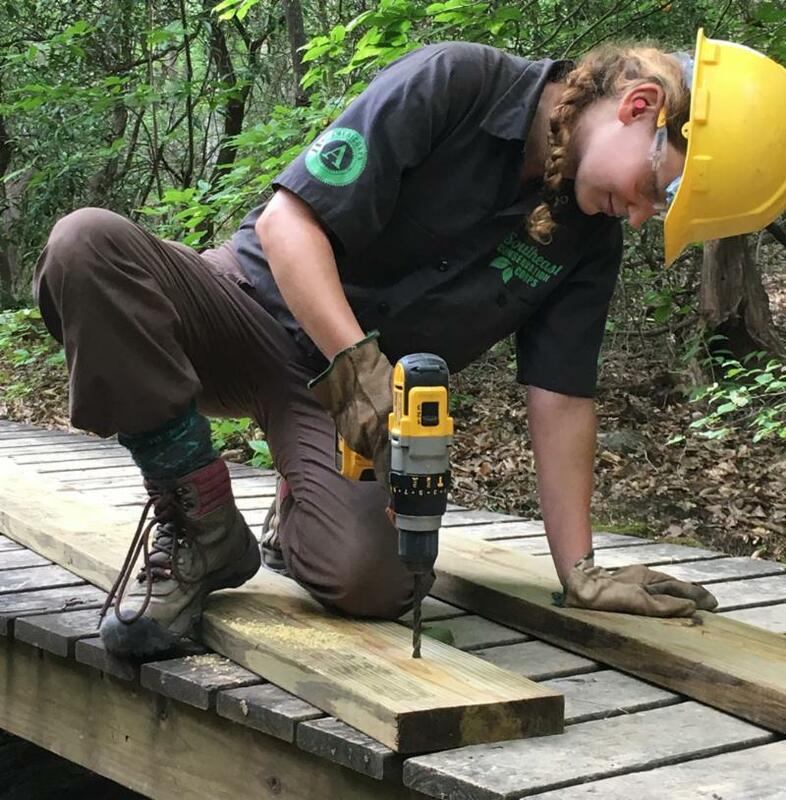 Building upon the legacy of the Civilian Conservation Corps, SCC is focused on connecting people to the natural environment through conservation-based service learning, personal development and recreations. 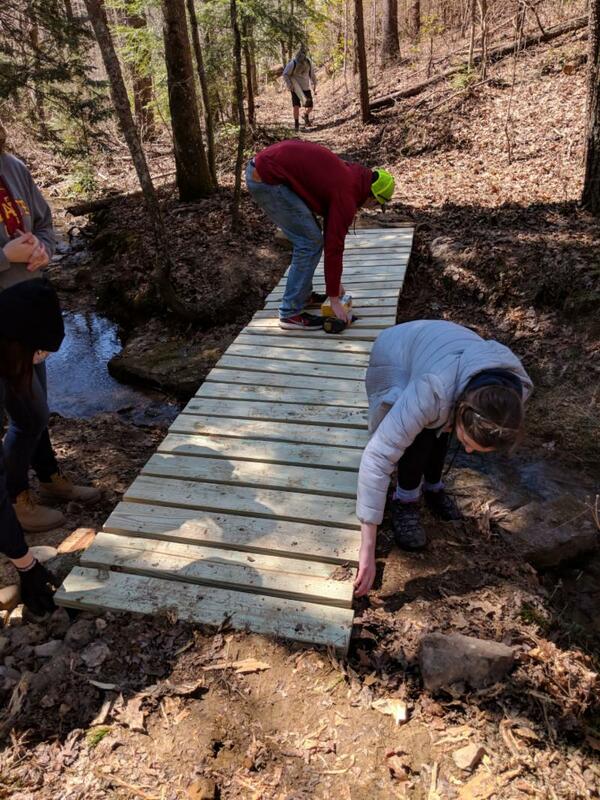 For the last 5 years, Iowa State students have visited Cloudland Canyon State Park for a week for an alternative spring break to complete trail maintenance and service projects with The Friends of Cloudland Canyon State Park. The Friends are a non-profit volunteer group that works with the Park Manager to improve the park through trail maintenance and service projects. The students stay in the park lodge and each day provide 8 hours of work on the trails. Trail volunteers assess potential projects prior to their arrival and have a "to do" list to work on. This year with all the recent heavy rains work emphasis has been on trail water issues, building three bridges and some trail re-alligment. 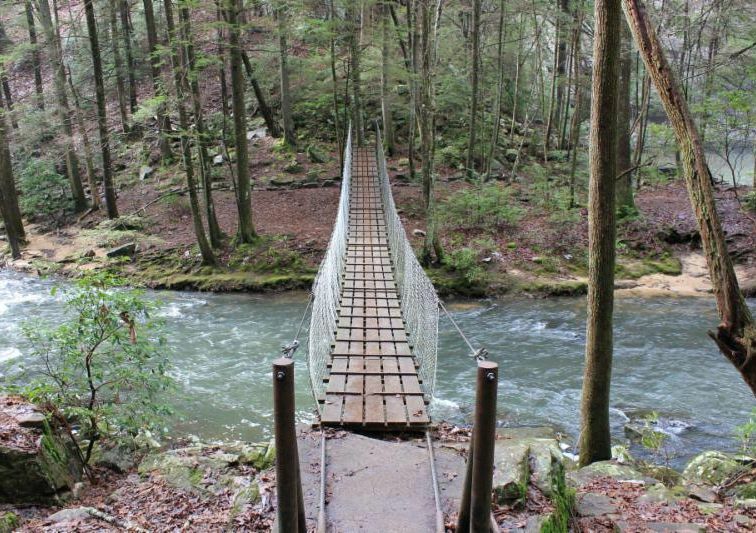 The Friends of South Cumberland is a group of volunteer citizens dedicated to supporting the South Cumberland State Park, at 30,837 acres, Tennessee's largest state park. T heir mission is to aid and assist the park management and staff in meeting its objectives, and to inform, educate, engage, and inspire its members and the public to protect, conserve, and enjoy all the resources of the park. They organize trail work days to maintain the 90-miles of trails that exist within the park. 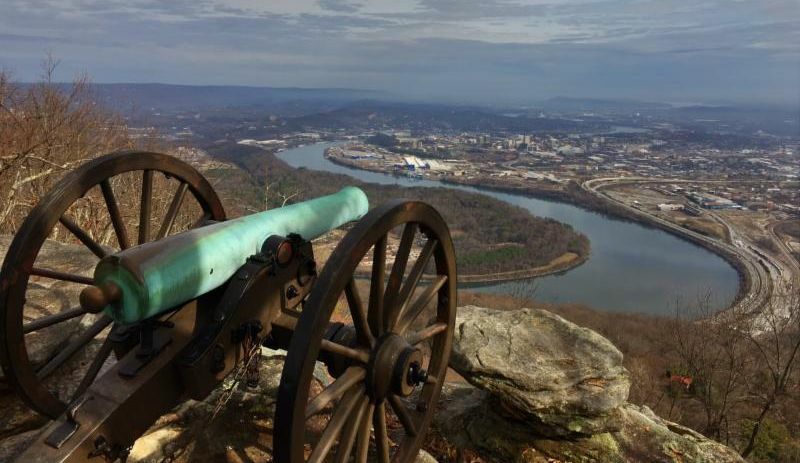 The National Park Partners mission is to champion the conservation of the natural, historic, and cultural resources of Chickamauga & Chattanooga National Military Park , including Moccasin Bend National Archeological District. Chickamauga and Chattanooga National Military Park is the first (and largest) National Military Park in the country and has six units (Chickamauga Battlefield, Lookout Mountain Battlefield, Missionary Ridge, Moccasin Bend, Orchard Knob, and Signal Point) commemorate vivid stories of conflict, change, reconciliation and reunion. The NPP dedicated staff and tireless volunteers focus on strengthening the resources of our National Park, while preserving the historical and environmental elements so the public can learn from and enjoy these spaces. They engage in community outreach to ensure the park experiences are inclusive, and that everyone feels inspired to come appreciate the past, understand its relevance to the present, and help preserve it for years to come. A recent blog article from IMBA boasted that "Chattanooga, Tennessee, may have the coolest backyard ever"! We tend to agree, especially when our local recreation and conservation groups work together to secure land and dream up a park with a trail network that caters to all types of outdoor recreation users! 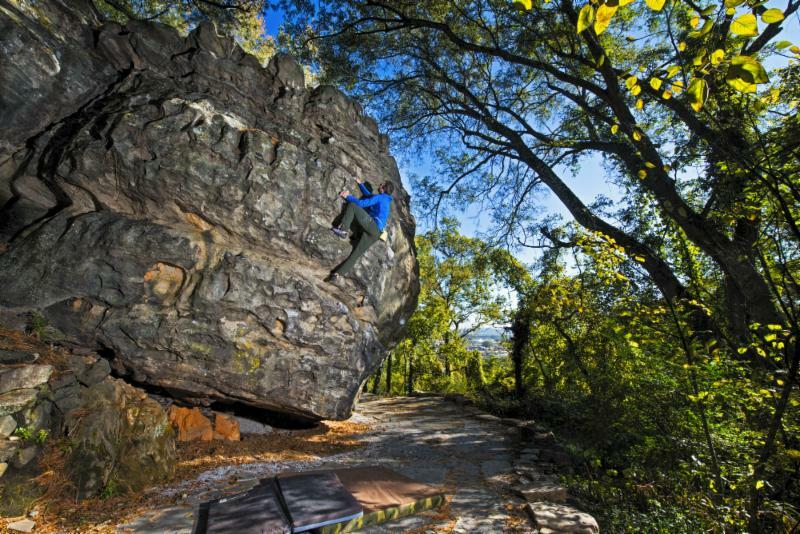 Less than 10 miles from downtown, Mountain Creek Park will offer an urban recreation experience with 8 to 12 miles of trails for mountain bikers, trail runners, hikers along with some exceptional bouldering to boot. With 800 feet of vertical drop and gnarly rock formations, the park will also provide the first advanced downhill-style trails in the Chattanooga region. Big shout out to North Chickamauga Creek Conservancy (NCCC), the Southern Off Road Bicycle Association (SORBA) Chattanooga, Southeast Climbers Coalition , Access Fund , and IMBA for their collaborative and imaginative efforts to bring the Mountain Creek Park Project into reality. 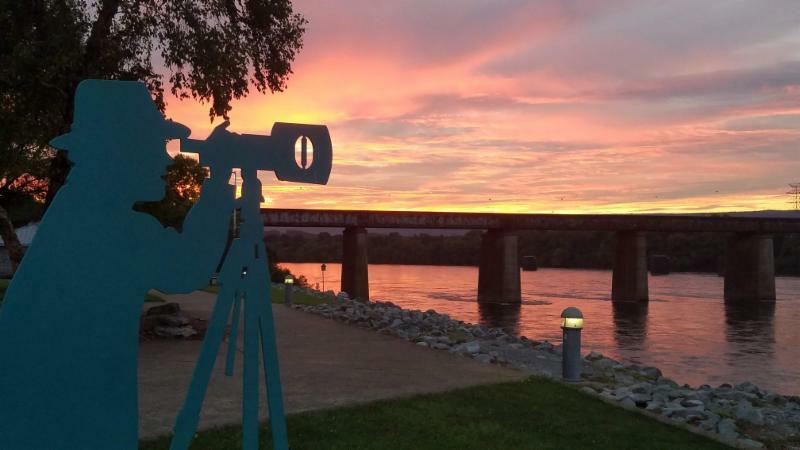 We're equally excited about the Time Free Press article written by Mark Pace about the expansive plans for the paved Tennessee Riverwalk to connect with multiple outlying neighborhoods giving more people access to outdoor recreation.